A new, simplified version of Blackboard Collaborate is now available to faculty who use myCourses. 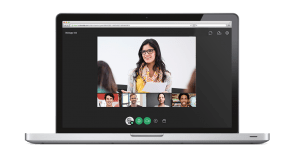 This updated version of Blackboard Collaborate offers crisp, hi-definition audio/video and launches meetings right in your web browser without the need for updating java or installing a launcher program. The user interface has also been modernized to be more intuitive to navigate.